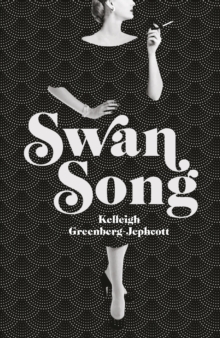 Kelleigh Greenberg-Jephcott will be at Mostly Books at 7.30pm on Tuesday 13th November talking about her dazzling literary debut, Swan Song. 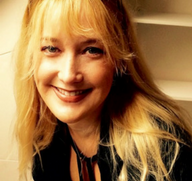 Kelleigh will be talking about her novel and the inspiration behind it; Truman Capote. Based on ten years of research, compulsively readable, Swan Song follows the rise and self-destructive fall of Capote and the beautiful, wealthy, vulnerable women he called his swans. The event will take the form of a book club with guests being encouraged to read the book before attending. Having reached the pinnacle of literary success after In Cold Blood’s wild acclaim, Truman Capote is society’s darling. But in 1975 he drops a literary grenade which, overnight, will make him persona non grata. Suffering from writer’s block, and with a crisis in confidence mounting, he decides to publish excerpts from his savage roman à clef Answered Prayers, inexplicably betraying the confidences of his inner circle of the wealthy and powerful elite of mid-twentieth century society – the women he called his ‘Swans’. Told from the collective and divergent perspectives of taste-makers Babe Paley, Slim Keith, C .Z. Guest, Gloria Guinness, Marella Agnelli and Lee Radziwill, Swan Song spans three decades of friendships, and the gossip-riven world its characters inhabit. Tickets are £5 and include a drink and £2 redeemable against the purchase of Swan Song prior to the event. Tickets and copies of Swan Song are available from Mostly Books.